Wearing a pair of round eyeglasses, and with his hair slicked and combed to one side, the thirty-nine-year-old securities trader from Omaha, Nebraska, searched for something to say. Reporters pressed him for a reaction. His name was Howard Buffett, and he had just unseated Democrat Representative Charles McLaughlin in the 1942 elections. The young man's surprise was evident. After digging into his pockets for a pencil and paper, he finally admitted that "all I fixed up was [a statement] conceding my defeat." Two years later, he would again cruise to victory on the back of Nebraska's vehement anti–New Deal opinion. Overall, Buffett served four terms in the US House of Representatives, fighting for a return to sound money and against federal interference in the economy and overseas. He is perhaps the best example of an Old Right politician and he deserves the attention of modern libertarians. Upon arriving in Washington, DC, Buffett was appointed to serve on the House Banking and Currency Committee. It was not long before he took issue with one wartime creation in particular: the Office of Price Administration (OPA). Its job was to impose price controls to stabilize retail consumer prices. By 1946 the war was won but the office remained in operation. Buffett demanded hearings to look into its elimination. the lumber shortage and the dismantling of mills, accentuating the housing shortage; a steady decline in butter production and its virtual disappearance from normal distribution centers; general disappearance of soybean, corn and other grains from normal trading channels. That the OPA brought about shortages in the market is unsurprising and in direct agreement with economic theory: Fixing a maximum price allows buyers to purchase a particular good or service for less than what it would sell for in the free market — otherwise there would be no need to put a ceiling on the price. First, this increases demand for the good or service in question. With the same wealth and income, the buyer sees the lower price and decides that he can afford to increase consumption. While a lucky few will attain the good or service for less than they would have paid, the overall effect is for demand to outstrip supply. Fix the price ceiling low enough and no matter how abundant the good or service might be, excessive demand will create a shortage. Second, price controls also impact supply as marginal, less-efficient companies are unable to earn a sufficient profit. They cut back on production or go out of business entirely. Economist George Reisman added that the "same price control that drives [the less efficient companies] out of business restricts the profits of the more efficient producers and deprives them of the incentive and also the capital required for expansion." The tendency, then, is for even the best companies to go broke. Buffett saw the elimination of the small-time producer as a direct result of the OPA's policies. The Chicago Tribune reported Buffett's charge: "Several congressmen during the debate on the extension of the life of OPA mentioned the fact that during three years [1941–1943] of rationing and price regulation 507,100 small businesses became extinct." An additional concern of those opposed to price controls was the power they gave to central governments over the economic lives of citizens. Once the price system no longer balanced supply and demand, some other mechanism had to decide who got what. Huge lines were one such mechanism: those with the time to wait end up "outbidding" others for the good or service. The other mechanism was cronyism. The well connected avoided the lines and took advantage of political control of the economy to get at supplies first. Buffett continued to assail the notion of price fixing. Although the OPA was abolished in 1947, it reappeared under the name Office of Price Stabilization during the Korean War. The conflict was different but the economic fallacy remained the same. "Once the price system no longer balanced supply and demand, some other mechanism had to decide who got what." Government price controls not only distorted the incentives of entrepreneurs and consumers, but failed to achieve their supposed goal: ending inflation. Interviewed by the New York Times in 1952, Buffett reminded readers that price fixing "is a fake remedy for inflation and makes inflation worse by concealing and postponing its effects. 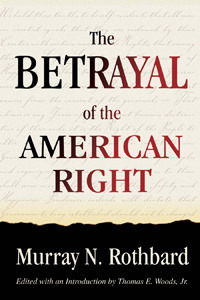 It will ultimately destroy the free market that is the base on which American freedom rests." Economic common sense, however, was not much appreciated in Washington, DC. In 1948 Drew Pearson of the Washington Post placed Howard Buffett on the "Don't Re-elect" list, calling him "a jack-of-all issues, a run-at-the-mouth politician and bedrock reactionary." It would be hard to find a politician who does not "run-at-the mouth," but it seems clear Buffett had managed to ruffle a few feathers in the press. Buffett, however, would make his mark in the Old Right talking about what he new best: money. In May 1948, the Commercial and Financial Chronicle ran an article Buffett wrote, entitled "Human Freedom Rests on Gold Redeemable Money." It is among the most cogent and concise arguments against fiat money available. Buffett began by acknowledging that readers might think it odd to connect freedom, seemingly a political idea, with the economic idea of a gold standard. He noted, however, that "one of the first moves by Lenin, Mussolini and Hitler was to outlaw individual ownership of gold." Americans at the time no doubt quickly connected this to Roosevelt's 1933 decision to suspend private ownership of gold. The ability to redeem paper currency into gold money, Buffett argued, gave individuals the freedom to move around the world because gold had an accepted value anywhere. By going off the gold standard, a government deprived its citizens of that freedom and prevented them "from laying away purchasing power for the future. [The citizen] becomes dependent upon the goodwill of the politicians for his daily bread." But more than an exit strategy or protector of independence, Buffett felt the gold standard provided Americans with the only effective check on budgetary excess. As long as the federal government could print as much money as it liked, no politician on earth could resist the temptation to spend. Congress is constantly besieged by minority groups seeking benefits from the public treasury. Often these groups control enough votes in many Congressional districts to change the outcome of elections. And so Congressmen find it difficult to persuade themselves not to give in to pressure groups. With a restoration of the gold standard, Congress would have to again resist handouts. That would work this way. If Congress seemed receptive to reckless spending schemes, depositors' demands over the country for gold would soon become serious. That alarm in turn would quickly be reflected in the halls of Congress. The legislators would learn from the banks back home and from the Treasury official that confidence in the Treasury was endangered. Under a gold standard, "printing-press-paper money" can be turned into the bank in exchange for a specified amount of gold. In theory, that specified amount of gold constricts the government's capacity to print more paper money without a corresponding increase in gold. Many times, however, the government cannot resist the temptation to spend and so it bets, in essence, that no one will notice there are more paper dollars circulating than gold in the vaults — that is, no one will notice the inflation. What Buffett recognized is that once people suspect inflation, they can go to the bank and start exchanging paper for gold. As gold flows out and paper piles up inside the banks, the politicians will have to stop their profligate ways. a country's Central Bank would generate bank credit expansion; prices would rise; and as the new money spread from domestic to foreign clientele, foreigners would more and more try to redeem the currency in gold. Finally, the Central Bank would have to call a halt and enforce a credit contraction in order to save the monetary standard. In sum, the gold standard "acted as a silent watchdog to prevent unlimited public spending." Remember the bank closings up to 1933? And all the money people lost in busted banks? For years those losses — a real tragedy — were favorite campaign oratory of New Dealers. Large as those losses were, they were peanuts compared with the losses now being forced on United States savings bond holders. During 1950 alone United States savings bonds lost $3,600 million in purchasing power. By contrast, all losses by bank depositors from 1921 through 1933 totaled $1,900 million. While there is no such thing as perfectly stable purchasing power in a dynamic, changing world, the gold standard removed control of it from the political arena. The loss Buffett referred to resulted from government printing notes and issuing credit. The greater amount of money and credit in circulation, the less each individual unit of money or credit can purchase. The first users of the newly created financial resources benefitted at the expense of later users because they were able to purchase goods and services before their prices increased. In this way, inflation worked as a tax on those further removed from government spending. Buffett rescued William Graham Sumner's phrase "the Forgotten Man" to describe those suffering from the inflation tax: "far away from Congress," he wrote, "is the real forgotten man, the taxpayer who foots the bill. He is in a different spot from the tax-eater or the business that makes millions from spending schemes." Buffett made a point of referring to the "real forgotten man," because during the 1930s Franklin D. Roosevelt had stolen Sumner's idea and twisted its meaning. Instead of the taxpayer, Roosevelt used "the forgotten man" to mean the poor and unemployed. Suddenly, rather than condemning government taking the forgotten man's meager resources to finance lavish public-spending programs, Roosevelt's forgotten man justified that taking to support the downtrodden. But, unless you are willing to surrender your children and your country to galloping inflation, war and slavery, then this cause demands your support. For if human liberty is to survive in America, we must win the battle to restore honest money. There is no more important challenge facing us than … the restoration of your freedom to secure gold in exchange for the fruits of your labors. His concern over the government's ambition to plan the economy and strip individuals' right to impose sound fiscal and monetary practices on politicians extended to the realm of foreign affairs. Buffett railed against the state's efforts to scare the citizen into submission. Recalling Mencken's warning that "the whole aim of practical politics is to keep the populace alarmed," Buffett denounced the banging of "war drums" in 1948 during the coup in Czechoslovakia. In a letter to constituents, he maintained that "the Administration wanted to put through a draft law for compulsory military servitude. They wanted the people frightened — so that Congress could be bludgeoned into ending freedom for our young men. The scare worked." Roosevelt had signed the first peacetime conscription bill into law in 1940, establishing the Selective Service System. Congress allowed it to expire in 1947, but soon found there were not enough volunteer soldiers to meet the Defense Department's needs. In response, Congress passed the 1948 draft act, to which Buffett objected. "Inflation worked as a tax on those further removed from government spending." These young men would soon be fighting and dying in Korea and Vietnam. However, in an off-the-record meeting in the spring of 1948, Admiral Hillenkoetter, Chief of the Central Intelligence Agency, had told Buffett that "signs of offensive war by Russia in the foreseeable future were completely lacking." And in public hearings in April of that same year, Senator Stuart Symington said of the selective service bill, "I have not read it very carefully … we are primarily interested in selective service because the army wants it." The Wall Street Journal criticized Buffett's letter for handing "the Russians as neat a propaganda weapon as they could contrive." The paper went on to admit that while the fears were indeed exaggerated, that fact should not diminish in anyone's eyes the real danger posed by Soviet expansionism. In particular, the Journal chastised Buffett for his "extremism" and explained that his words "can only serve to weaken support for necessary defense. It just gives the Communists new ammunition to convince other peoples that the warmongers are in Wall Street." Four months later, Buffett was again trying to block America's "march into militarism." He spoke on the House floor against the Truman administration's plan for universal military training. The Chicago Tribune noted that by committing itself to various mutual defense pacts, stationing six divisions in Europe, having 3.5 million men under arms, sending 200,000 soldiers to the Korean peninsula and requesting the largest defense budget in history (some $52 billion — $353.2 billion in 2008 dollars), the United States was much further along the road to war than in 1941. It also warned that "when the leaders of a nation forge a mighty instrument for war, they do not let it rust out of idleness." This was exactly Buffett's worry. In November of 1951, Buffett decided not to seek reelection. He returned to work at his investment firm in Omaha until his death in 1964. In his free time, Buffett still pushed for those policy issues dear to his heart. Two years after leaving the House of Representatives, Buffett joined the nonprofit organization For America, which promoted peace and national defense, opposed "all forms of totalitarianism," and hoped to "preserve solvency, sovereignty, freedom and independence of the United States." Former Sears Roebuck & Co. chairman Gen. Robert E. Wood and Notre Dame University law professor Clarence E. Manion were the founders of For America. Other members included Chicago Tribune editor Roger McCormick, a vehement anti–New Dealer, and Frank Chodorov, publisher of the monthly broadsheet Analysis and author of what would become a classic libertarian text, The Income Tax: Root of All Evil, released in 1952. What is most interesting about For America is that, ten years later, Clarence Manion became the driving force persuading Barry Goldwater to run for president; and Goldwater then relied on Robert Wood for help. Overall, in his staunch defense of economic liberty, the gold standard, and noninterventionism, Howard Buffett was an exemplary member of the Old Right. Father of superinvestor and billionaire Warren Buffett. "Republican Prepares Speech Conceding Defeat; Wins Race," The Atlanta Constitution, November 6, 1942. Arthur Evans, "Nebraska Again is Expected to go Republican: Anti–New Deal Tide at Its Crest There," Chicago Daily Tribune, September 22, 1944. The Wall Street Journal - Washington Bureau, "Congressman Demands Price Control Hearings Be Started Immediately: Rep. Buffett Says OPA Has Created 'Social Chaos' Wants Action Before British Loan," January 21, 1946. It is important to distinguish between "shortages" and "scarcity." See George Reisman, The Government Against the Economy (Ottawa, Illinois: Jameson Books, 1979) pp. 63–64. For more, see Ludwig von Mises, Human Action: A Treatise on Economics (San Francisco: Fox & Wilkes, 1996) pp. 758–767. "Mortality of Small Business under OPA," Chicago Daily Tribune, July 12, 1945. Other than going belly-up, businesses struggling under price controls also look to evade them. One way is to manufacture an inferior product, switching to lower-quality ingredients, but sell it as the same. To this day, my grandmother complains about the difference in taste between pre– and post–World War II Hersey bars. Another method is called a "tie-in sale": Rutgers University professor Hugh Rockoff gave the example that to "buy wheat flour at the official price during World War I, consumers were often required to purchase unwanted quantities of rye or potato flour." See Hugh Rockoff, "Price Controls," The Concise Encyclopedia of Economics (Library of Economics and Liberty, 2008). "Food Independent has Bulk of Sales: Head of Grocers' Group Puts the National Percentage at Nearly Two-Thirds," New York Times, June 24, 1952. Drew Pearson, "Don't Re-elect' List Given Voters," The Washington Post, October 26, 1948. When [the United States] was "on the gold standard" before 1933, people liked to say that the "price of gold" was "fixed at twenty dollars per ounce of gold." But this was a dangerously misleading way of looking at our money. Actually, "the dollar" was defined as the name for (approximately) 1/20 of an ounce of gold. Murray Rothbard, What Has Government Done to Our Money (Auburn, Alabama: The Ludwig von Mises Institute, 2005), p. 19. Howard Buffett, "Human Freedom Rests on Gold Redeemable Money," The Commercial and Financial Chronicle, May 6, 1948 (New York: Foundation for the Advancement of Monetary Education) p. 3. William Henry Chamberlin, "Shadow and Substance: A Stable Dollar is Infinitely More Important than Cheap Money Policy, Whose Principal Victim is the Saver," Wall Street Journal, April 10, 1951, p. 6. For more, see Amity Shlaes, The Forgotten Man: A New History of the Great Depression (New York: HarperCollins, 2007). Howard Buffett, "Human Freedom Rests on Gold Redeemable Money." "Buffett's Buffeting," The Washington Post, October 29, 1951. Albert Bofman, "Voice of the People: An Uninformed Expert," Chicago Daily Tribune, July 17, 1953. It is interesting to note the choice of the word "extremism" here, keeping in mind this is exactly how the press later labeled Goldwater during the 1964 election. Samuel H. Williamson, "Six Ways to Compute the Relative Value of a U.S. Dollar Amount, 1790 to Present," Measuring Worth, 2009. "Formula for War," Chicago Daily Tribune, February 27, 1952. "Nebraska Rep. Buffett Won't Seek Reelection," The Washington Post, November 24, 1951. "43 Prominent Citizens Join For America Policy Group," Chicago Daily Tribune, November 14, 1954. For a brief overview of Chodorov's life see Murray Rothbard, "Who is Frank Chodorov," (Auburn, Alabama: The Ludwig von Mises Institute).